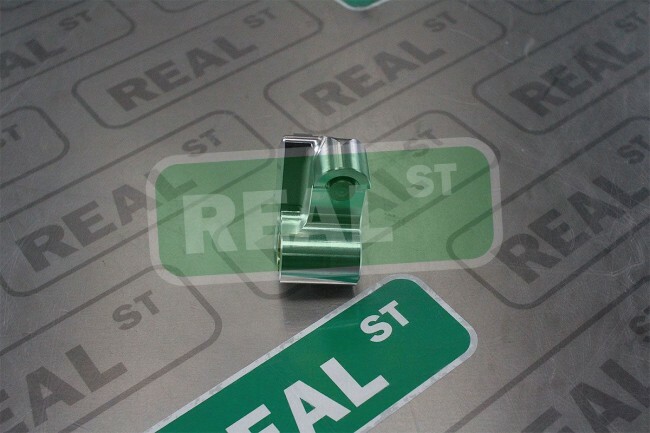 Introducing the new Real Street Performance 2JZ Billet Timing Belt Tensioner Bracket (Part Number: RS20-1002). It is constructed out of 6061 Aluminum and utilizes an oil impregnated bronze bushing, as well as a steel insert for the factory hydraulic belt tensioner to ride on. All tool paths in our tensioner have the longest possible radii to make the part as strong as possible while still fitting in the OEM location. The bronze bushing is of paramount importance due to the susceptibility of like-material galling. Galling is wear caused by adhesion between sliding surfaces. They will continuously wear and eventually they will interfere, bind, and seize. 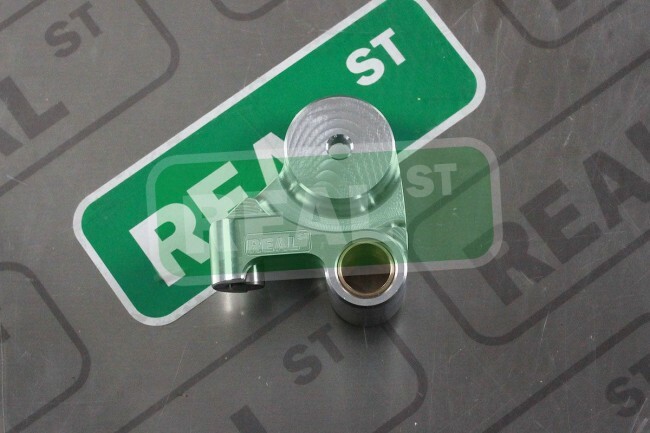 While there are many well-constructed aftermarket unbrushed steel tensioners on the market, when used for a long service interval - as you would find on a streetcar or road race vehicle, over time the lubricant used during installation will be displaced and the bolt can fuse to the tensioner. Once this happens the timing belt itself can fail, or the bolt can fail as the movement of the engine can cause the bolt to break. If the bolt or belt break during operation, the majority of aftermarket camshafts will cause the pistons to hit the valves, bending or breaking them and requiring a cylinder head overhaul. 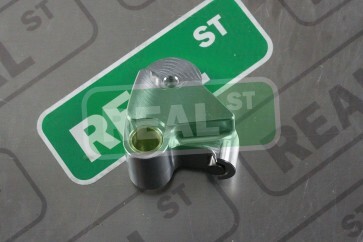 If the valve tip were to break off it can damage the combustion chamber, piston and other various components as well. During installation, the lock washer on the idler pulley will be deleted and we recommend a drop of red Loctite in its place. You will also want to apply some common grease to the shank of the bolt which holds the tensioner to the oil pump and a dot of blue Loctite on the threads of the bolt to keep oil from seeping out of the engine, as its retaining hole is through-hole. The torque specification is 28lb/ft and be sure to retain the factory washer that's sandwiched between the oil pump and your billet tensioner bracket.